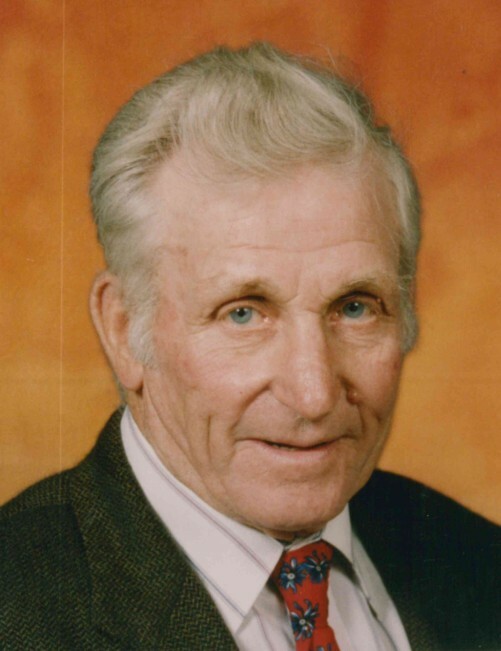 Nicholas Edmund Dunkel, 91, of Manchester, Iowa, passed away on Monday, January 14, 2019, at the Good Neighbor Home in Manchester. He was born on January 29, 1927, in Worthington, the son of Nicholas and Emma (Brunkan) Dunkel. Nick was raised and educated in the Worthington area. He served honorably in the United States Army Air Force during WWII. Nick served with an alert crew on Shemya Island. After the service, Nick worked as a Plymouth Dodge and Studebaker mechanic. On June 13, 1950, Nick was united in marriage to Joan Victoria Herbers, at St. Boniface Catholic Church in New Vienna. The couple farmed together near Dyersville and Bellevue until 1956 when they moved to their farm near Manchester. The couple enjoyed traveling and family outings. Nick was a longtime member of St. Mary Catholic Church and the Knights of Columbus in Manchester. He was also a member of the VFW and the Manchester American Legion. Nick enjoyed playing cards, dancing, hunting, fishing, and training dogs. Survivors include his five children, Beth (James) Westpfahl of Sergeant Bluff, Sandra Bunce of Anamosa, Neal (Karrie) Dunkel of Manchester, Brian (Colleen) Dunkel of Barrington, Illinois, and Denise (Kevin) Dirth of Muscatine; many loving grandchildren and great grandchildren; and one sister, Dorothy Vorwald of Dyersville. Nick was preceded in death by his parents; his wife, Joan Dunkel in 2016; his daughter, Patricia Burns; four sisters, Eileen Sperfslage, Helen Heims-Bonert, Ruth Stronck, and Bernice Dunkel; and five brothers, Herbert, Bernard, Rev. Henry, Lavern, and James Dunkel.